Our pilot team is now in place. We will be using a structured organization as you can see on the chart below. 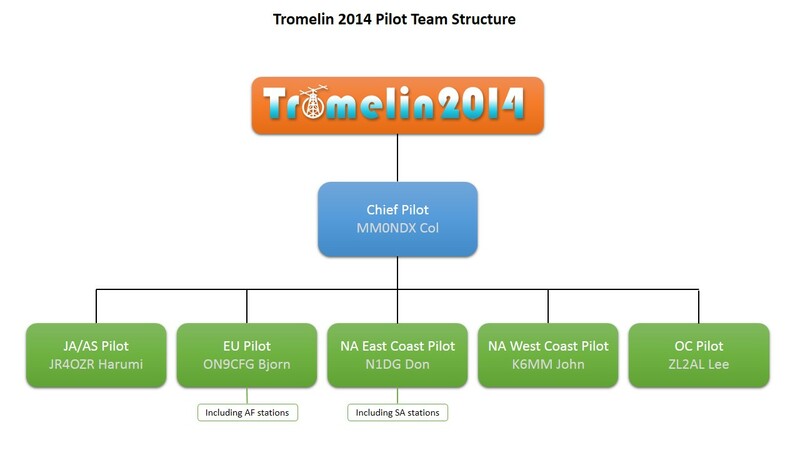 Because of the very limited and expensive Internet connection while on the island, we will only be able to receive a summary from the chief pilot at a specific time of each day. We need to ensure the summary will be within our download limit. We will also use the internet to upload logs, and if there are few kbs remaining, to send one or two photos of the operation. 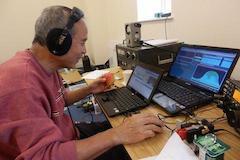 Harumi who had been one of the FT5ZM pilots. Bjorn is already working with Col on the DX-World project. Bjorn will also be responsible for the few requests coming from Africa. 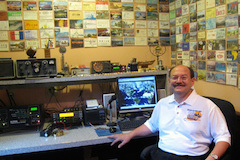 Lee is a well known DX’er and was also pilot on the FT5ZM and VK9MT dxpeditions. 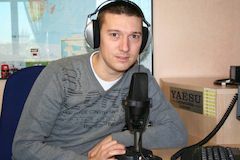 He will take care of requests coming from Oceania. 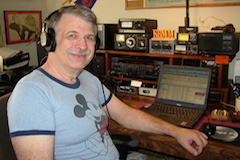 Don is an experienced pilot and DXpeditioner that will take care of all requests of North America (East Coast) and also Central and South Americas. 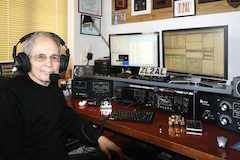 John is an experienced pilot and DXpeditioner, can share his experience on the specific propagation path of the West Coast. As a reminder, this will be our most challenging part of the world from Tromelin and is the reason it led us to dedicate a pilot specifically for this area. * Just to avoid confusion on East/West coast definition, we had decided that the border/separation will be the Mississippi river, so everything on the west will be considered West Coast for the purpose of this pilot structure. Of course, if you contact the wrong NA Pilot, your request will still be taken into account, but it will be easier for everyone if you simply comply with the regional organization explained above. As a reminder, ALL pilots will NOT have access to the log. 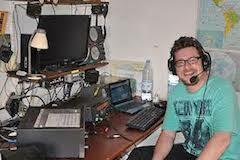 All log requests should be send to the QSL Manager only.